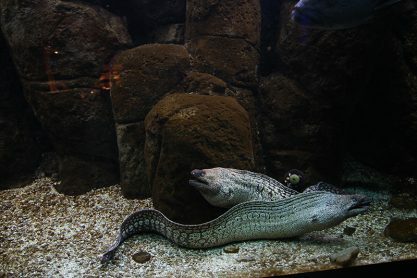 Crete Aquarium Thalassocosmos - Explore The Mediterranean Marine Life! A travel Blog about your Holidays in Crete! 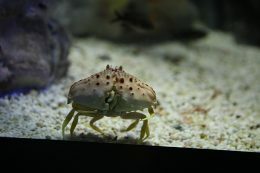 Crete Aquarium Thalassocosmos – Explore The Mediterranean Marine Life! 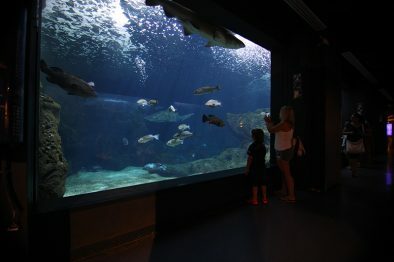 The Crete Aquarium Thalassocosmos is one of the largest and most modern aquariums in Europe. That’s why it is one of the first destinations for people visiting Crete, especially families. 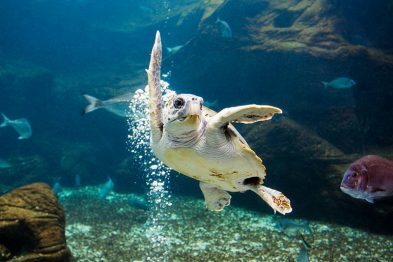 It is a fact that there are numerous family activities in Crete and a visit to Crete Aquarium Thalassocosmos is one of the most popular and exciting for adults and kids. Looking for accommodation in Heraklion? 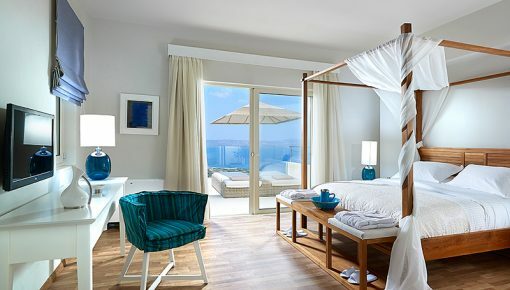 Check out these Holiday Villas in Heraklion! 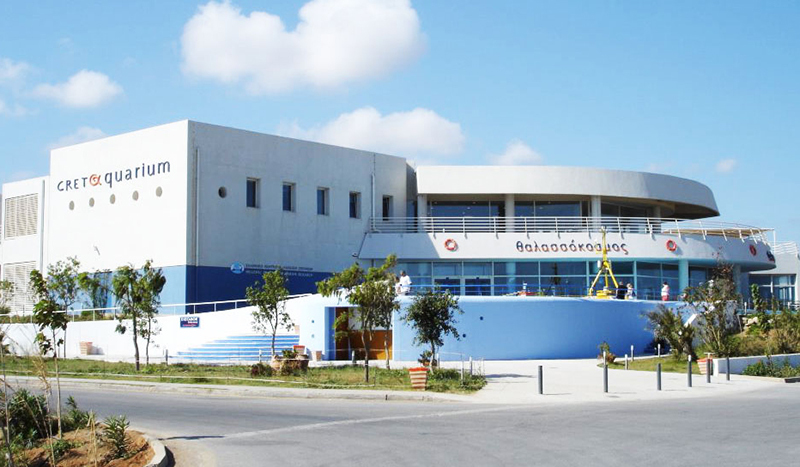 The building complex of the aquarium is located in Heraklion Prefecture, where was previously located the U.S. Base of Gournes. Access is very easy, as there are informational signs on the way, as well as frequent bus service. There are also three parking lots to park your car. As soon as you reach there, you will see hundreds of guests arriving either on foot or by car who want to see the modern facilities and the Mediterranean ecosystems of the aquarium. 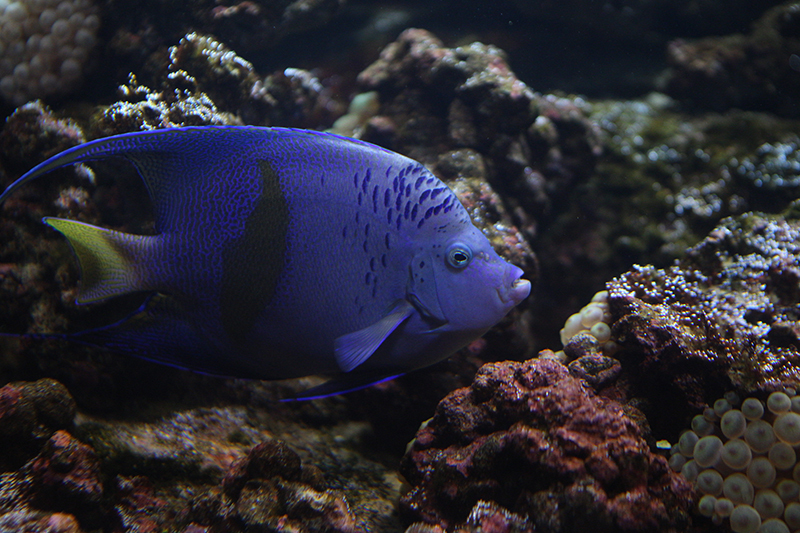 While you enter the Aquarium, you will be captivated by the pleasant atmosphere. After you buy your tickets, the tour guide will inform you about the modern, audiovisual systems and innovative applications on touch screens that are scattered along the tour in the aquarium. All this stuff is useful in order for you to complement your personal experience, to improve the information you receive and support an integrated understanding of the structure and function of the marine Mediterranean ecosystem. Your tour in Crete Aquarium just started! Starting the tour in the Crete Aquarium Thalassocosmos, you head to a dark corridor along which you meet about 60 tanks of various sizes. Once you meet their glamorous residents, you will feel a really strong excitement accompanied with admiration. You will be impressed while observing the various fish which appear behind the rock crevices and you will have the chance to read about the species you meet: Red corals, groupers, rays, lobsters and crayfish were playing with the light in the tanks. 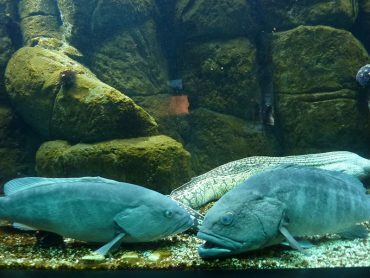 Continuing your tour, you meet two large tanks with sharks, groupers, breams, eels, which were spectacular and attracted the interest of most visitors. 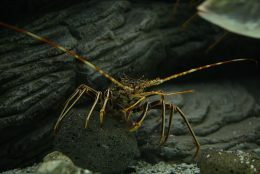 You and your kids will get the chance to observe the behavior of those huge creatures, face to face. You will also have the opportunity to see a Caretta- careta sea turtle along with a shoal of fish shoals, creating beautiful patterns. In smaller tanks, you will meet the World of Phytoplakton. Through presentations using microscope, you learn about the importance of those microscopic organisms in the food chain. 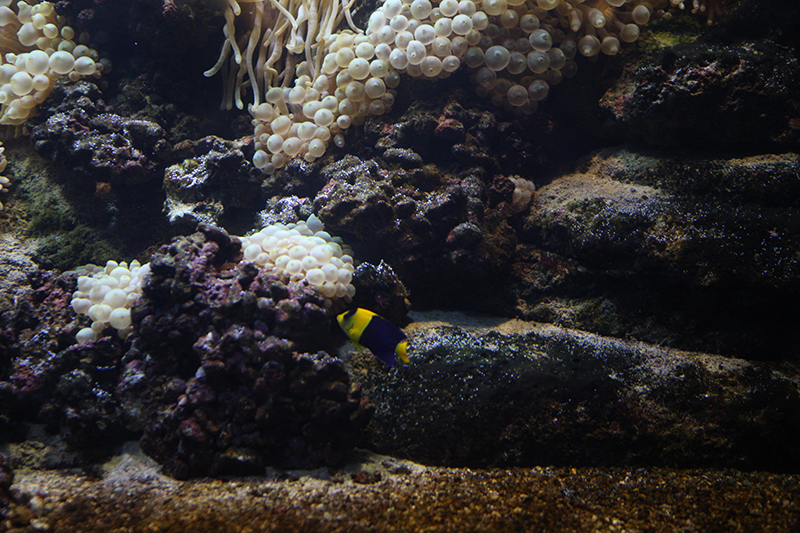 Impressive is the habitat of the Coastal Zone of the aquarium, where you see small creatures, such as seahorses, crabs, sponges, anemones, echinoderms, parrot fishes, hiding under the sand to avoid the visitors’ eyes. 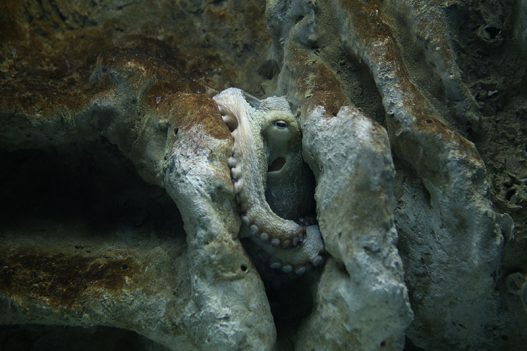 Octopuses, groupers and shoals of small but numerous big fish that seem to be familiar with visitors, come too close to the windows. So you will get the opportunity to admire them as they are swimming among rocky formations. Continuing our tour, the World of Zooplankton is revealed to you! 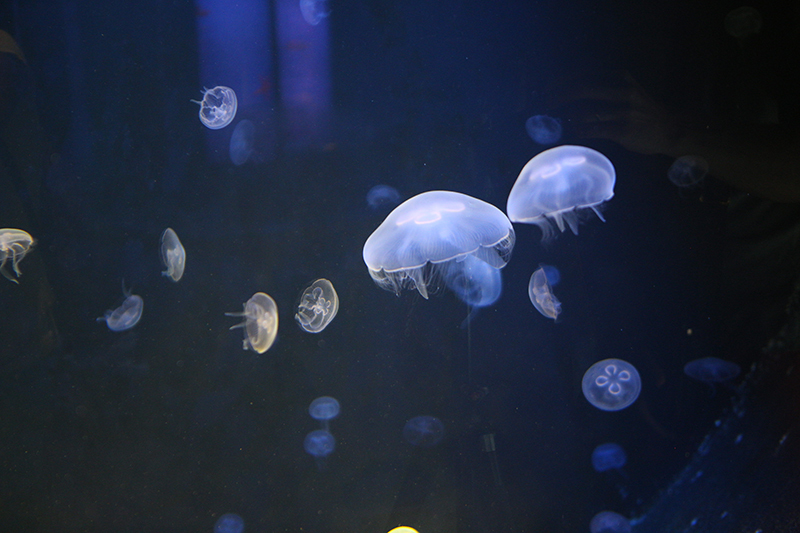 Impressive is the tank with jellyfish which dance lazily under the lightning. 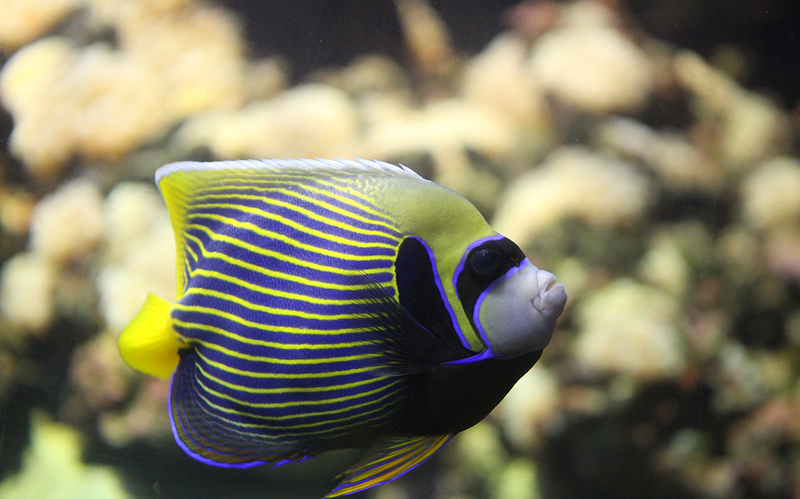 The most impressive aquarium section is the Passage to the Tropic Fish where you are able to admire colorful angelfish, clown fish, cardinals of Banggai and many other tropical species living in coral reefs. You may also see the diver who is responsible for cleaning and testing of tanks and fish feeding. Children’s time in the Crete Aquarium! The tour lasts about one hour. It’s children’s time now! In a specially designed space for children are conducted educational programs with high standards. Using the right materials and tools, and with the guidance and support of specialized personnel, children work together to create their own structures. 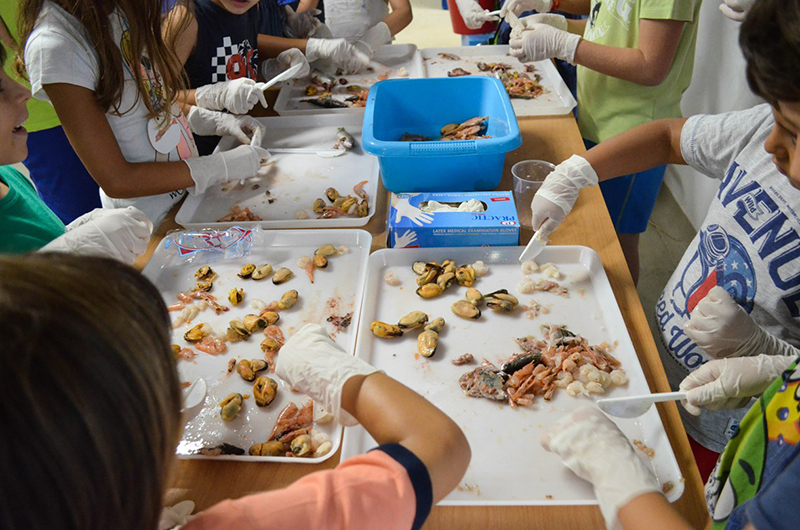 At the same time, young students are familiarized to marine protection and development of environmental awareness. 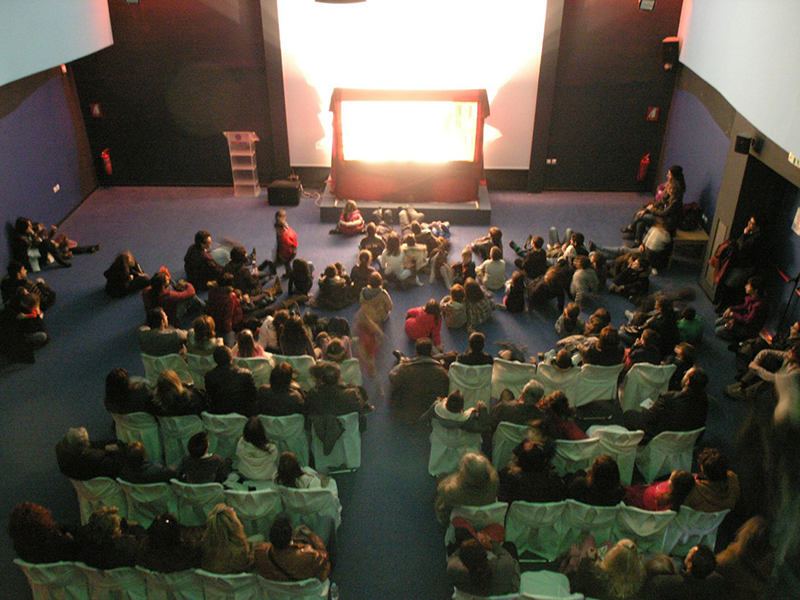 After your children spend a very pleasant educational time, we would recommend you to visit an especially designed room, equipped with modern audiovisual equipment. There, you can watch a documentary on marine life. In this room, are also conducted seminars, speeches, events, exhibitions and conferences. Before you leave, make a stop at the Aqua shop and browse among many beautiful souvenirs, postcards, books, gifts, toys, all of them inspired by the magical world of the sea. Behind all this incredible presentation, there is a number of people, working to preserve and maintain those excellent facilities at this excellent level. That’s why we strongly recommend this tour in the Crete Aquarium Thalassocosmos for you and your family! 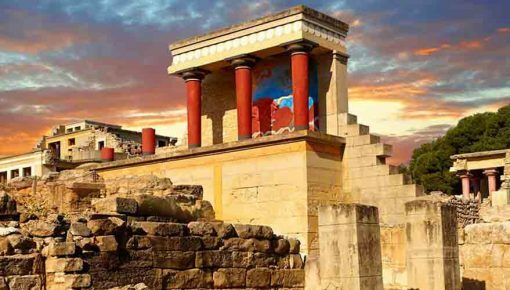 Posted on 25 Aug 2016 in Activities in Crete and tagged Family Holidays In Crete, Heraklion Highlights. 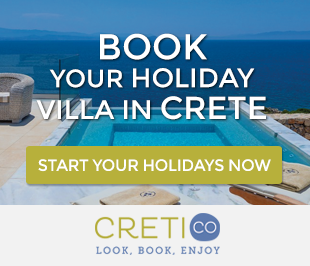 Crete Blog by Cretico - A travel Blog about your Holidays in Crete!